Shaws Farm Cottage01233 750426work01233 750426fax Self-cateringShaws Farm Cottage is a modern addition to the farmhouse. 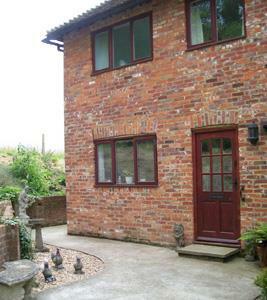 It is in a rural location with good road links to Ashford, Canterbury and Folkestone. It provides two storey accommodation sleeping a maximum of 3 people. A cot and highchair are provided on request. Arrival times, from 3pm any later please contact to make arrangements. Departure by 10 am on the final day. A welcome pack including fresh milk, eggs and bread is provided for guests, as are tea, coffee and complimentary biscuits.